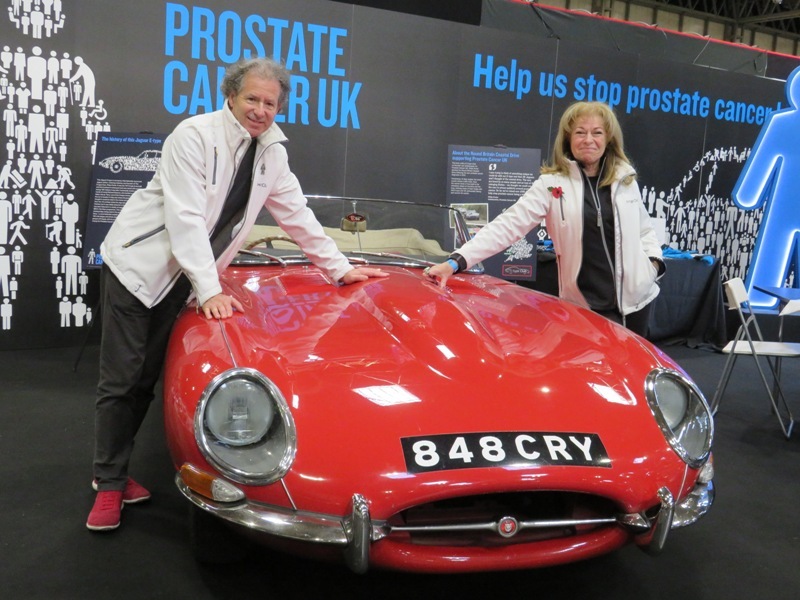 Here we are once again, on the Jaguar Enthusiasts’ Club stand at the Classic Motor Show, NEC, Birmingham! 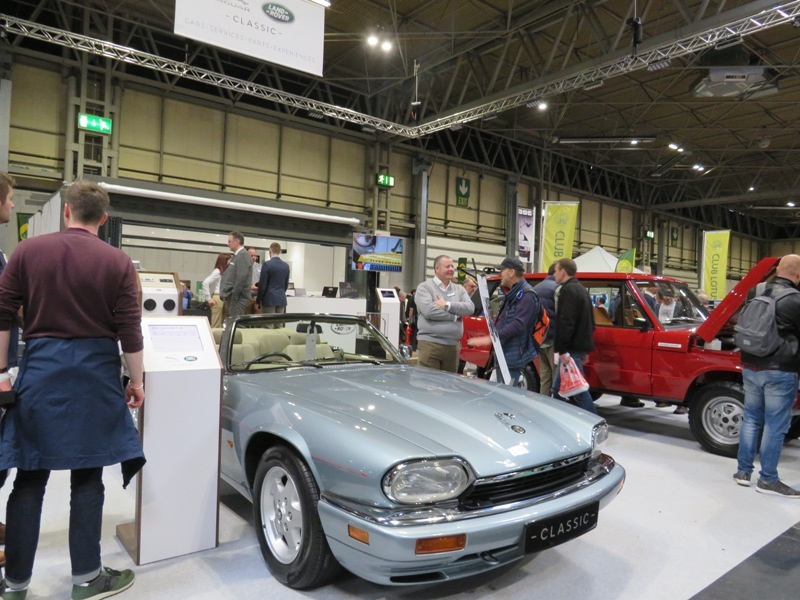 An interesting selection of Jaguars graced our stand, the most popular of which appeared to be the genuine Broadspeed Coupe, loaned to us by Jaguar Heritage, which provided an irresistible backdrop for photos! 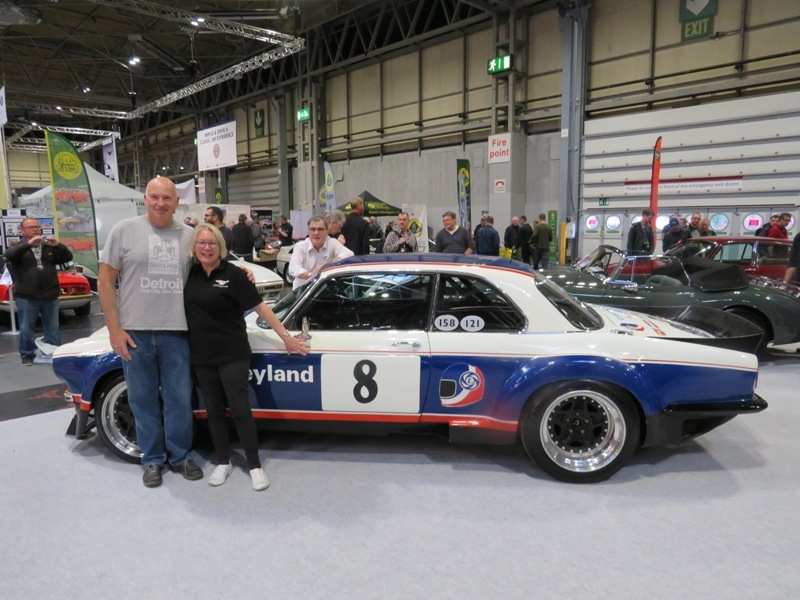 Mark Lackner (right) came to see an old friend – Mark was a full time race mechanic on the Broadspeed Coupes! 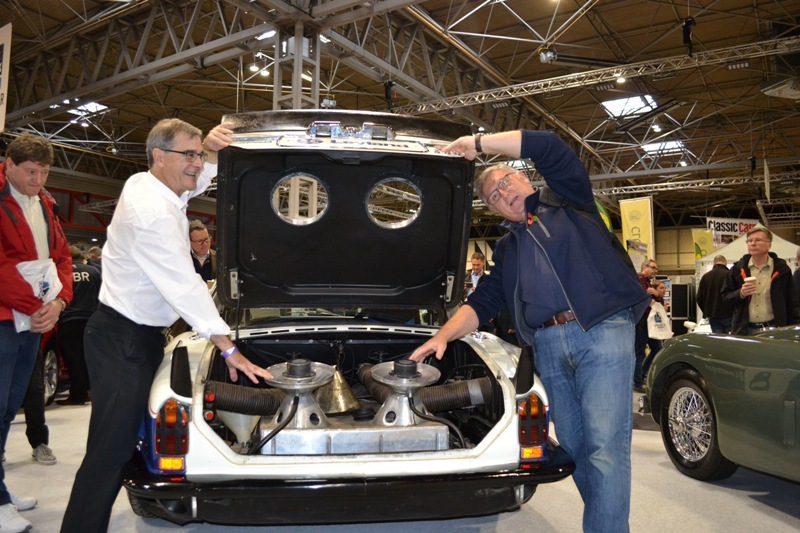 Peter Guerrier (left), engine builder at Broadspeed when these cars were racing, also had a few good stories to tell! 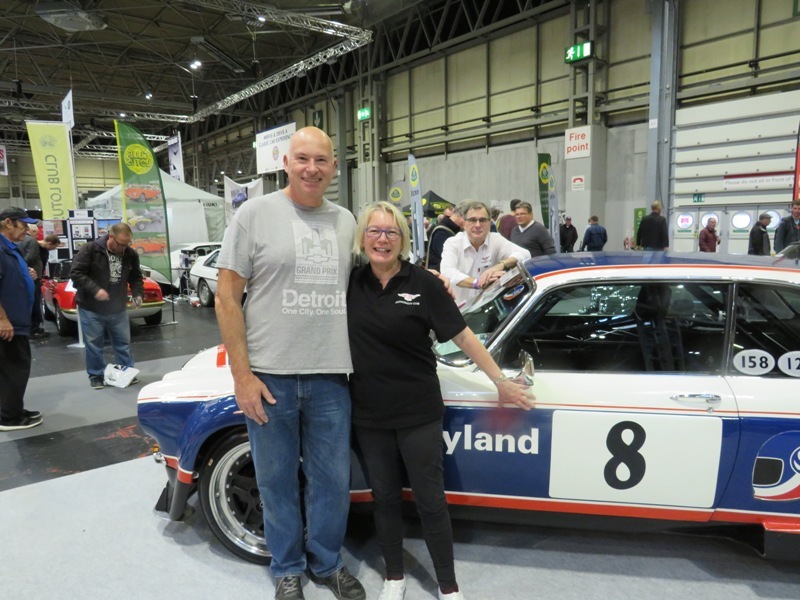 Motoring journalist, Martin Puthz came over from Germany for the NEC and we arranged to meet. 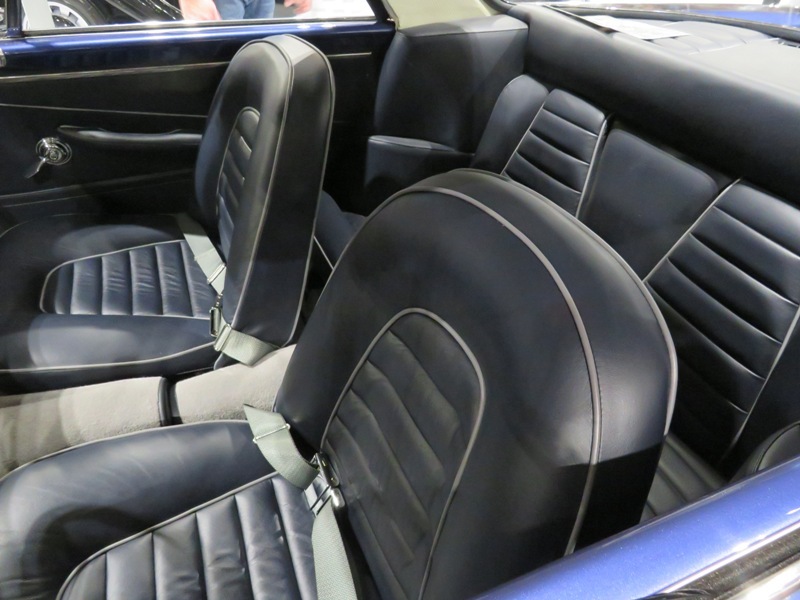 Martin had previously sent me a batch of photos of Juno – some of which have already featured in the newsletter, and more will appear in due course. 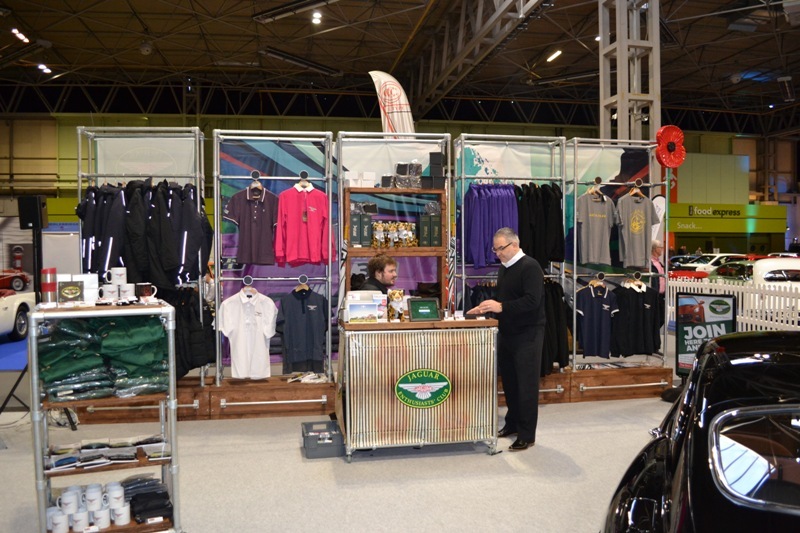 Michael Manconi (on the right) along with his father Colin, put in a tremendous effort with the new shop stands. 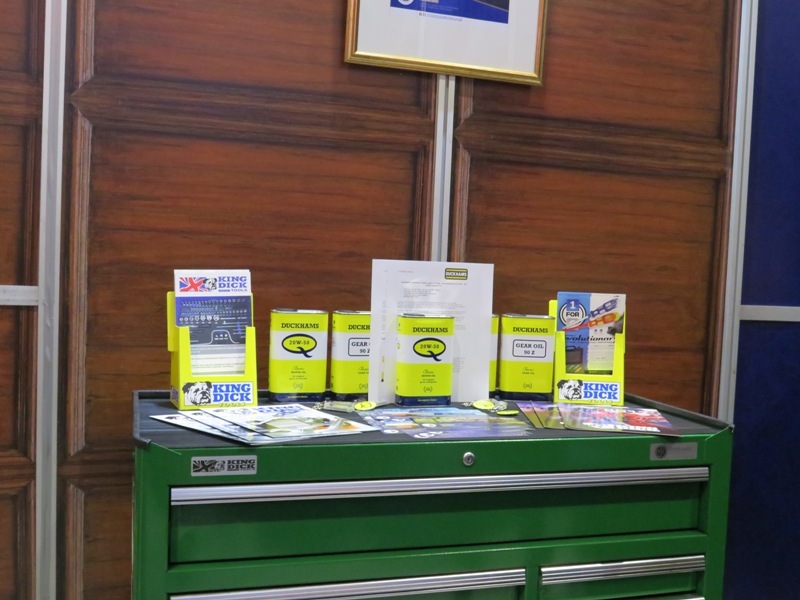 Designing, manufacturing, transporting, assembling ……… and then breaking it all back down again, ready for the next time! 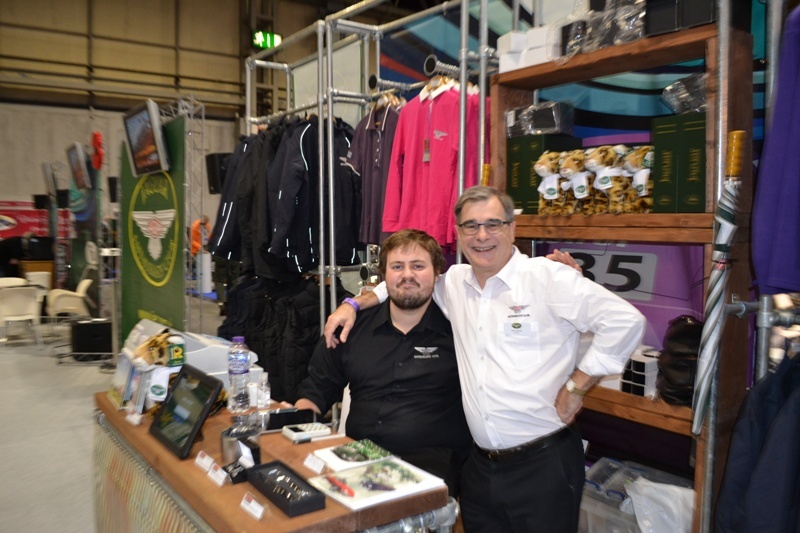 JEC Director,Rob Jenner (on the right) with Tom Coggins, who now looks after the JEC shop and merchandise. 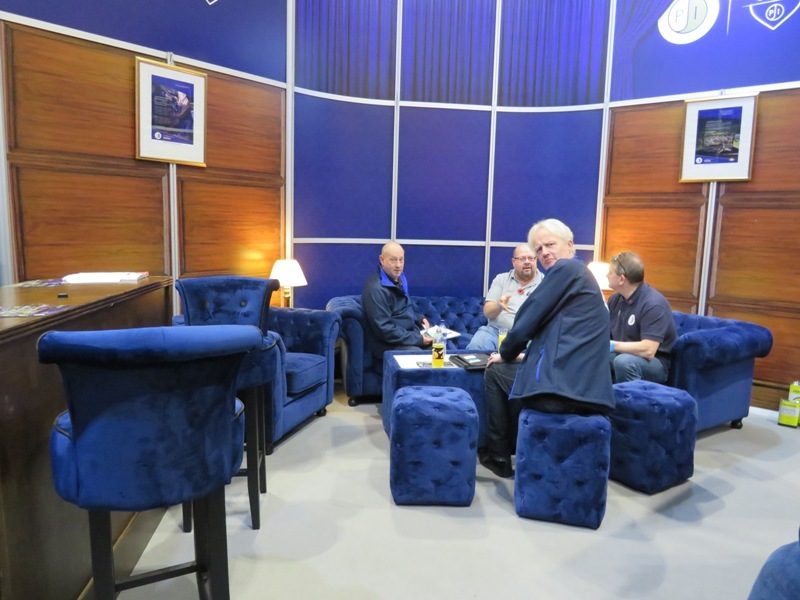 The NEC show is as much about meeting up with old motoring friends as it is about anything else! 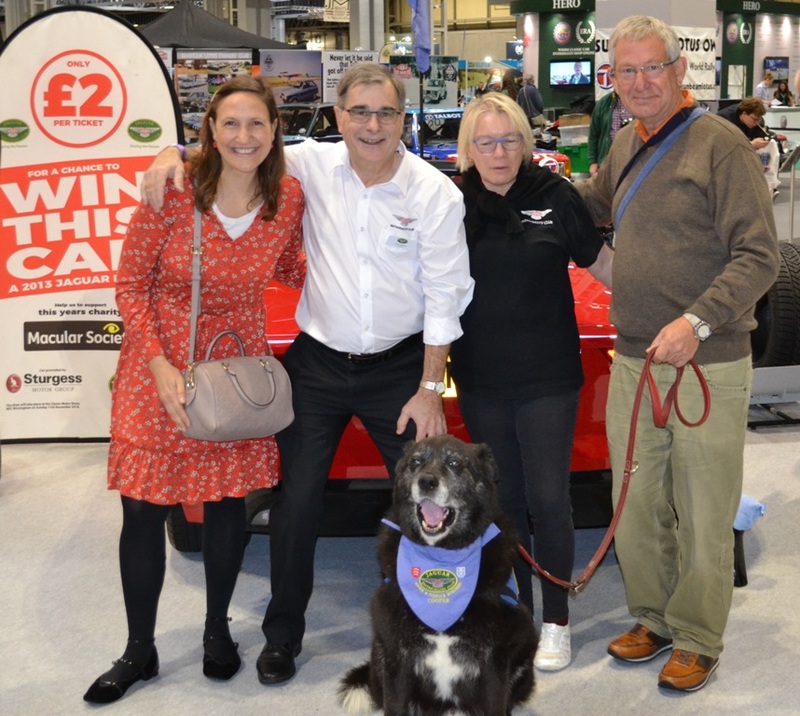 Cooper the hearing dog travelled to Shetland with his owners, who accompanied us for the Classic Motor Show in Lerwick, 2016. 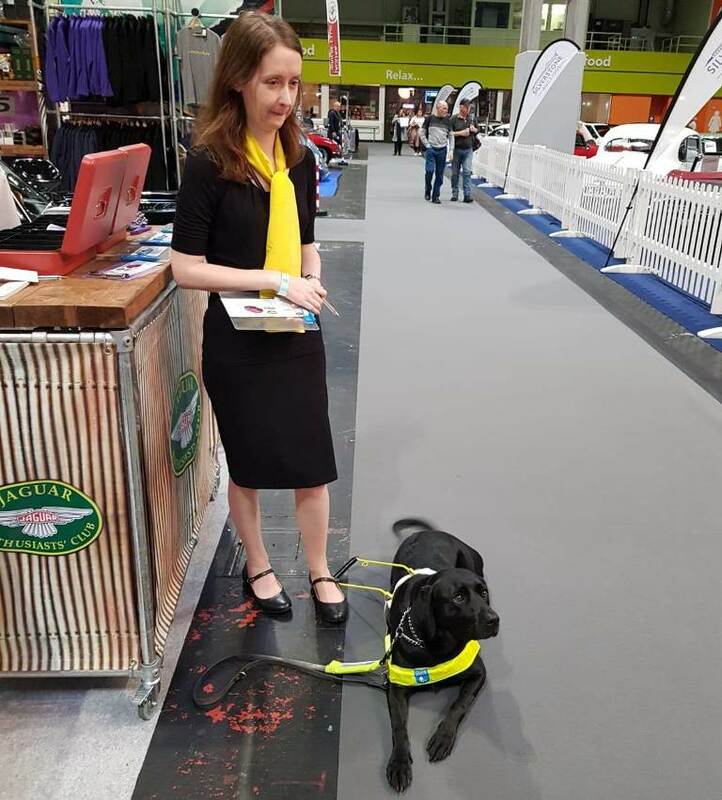 Guide Dogs appeared to be the theme on the JEC stand this year! The Macular Society volunteers also brought a dog to help out! 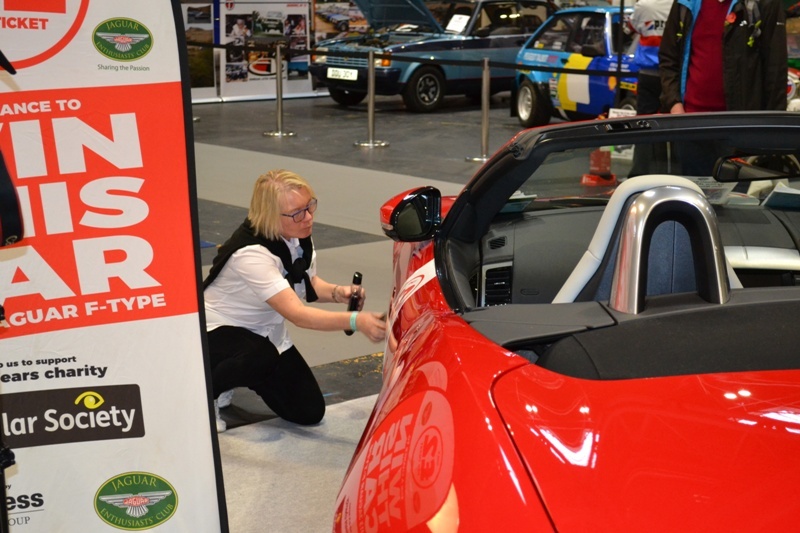 Darcy the Guide dog supported her owner, who was selling raffle tickets for the JEC annual prize draw car. 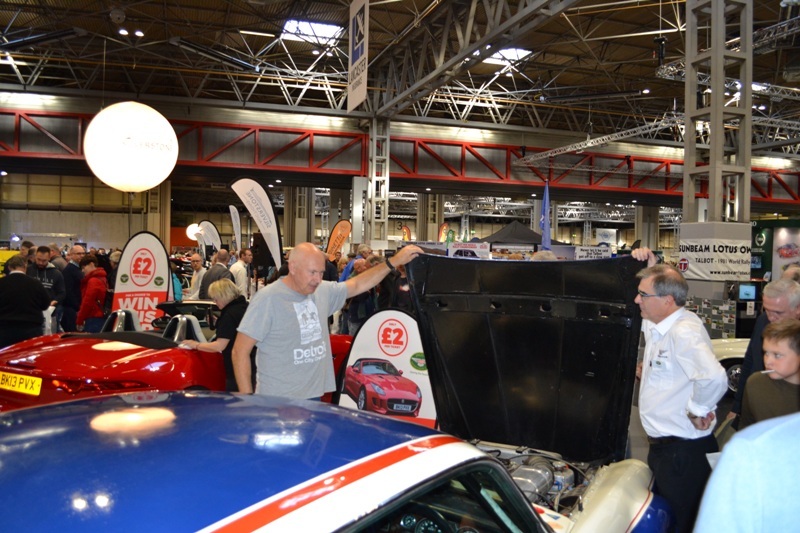 It is always busy on the JEC stand and difficult to find time to get away for a break and see what other people are doing at the NEC, but during one such break I was able to visit the stands of a few of those who support and sponsor Xclusively Jaguar. 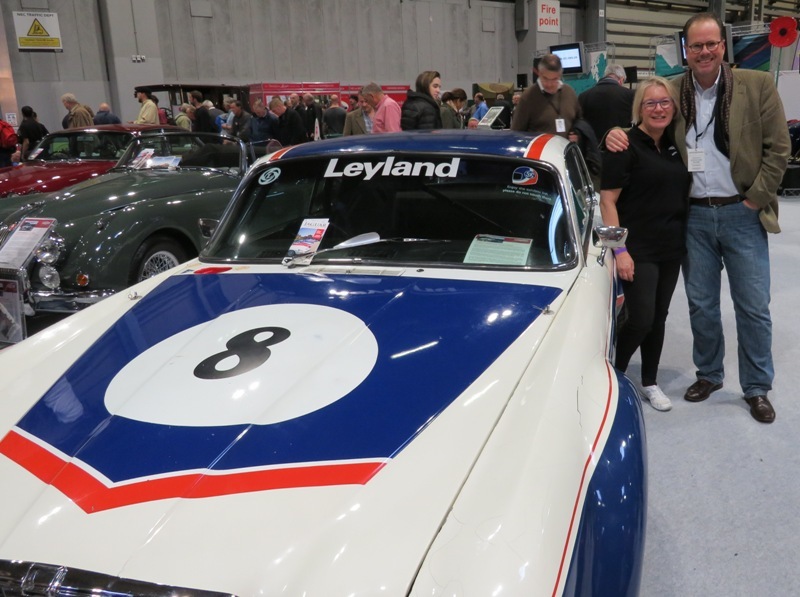 Jaguar Land Rover Classic were nearby, and although Esta-jane was not able to join them this year due to family commitments, I met and spoke to a number of her colleagues who were on-hand to answer the questions of classic Jaguar owners. 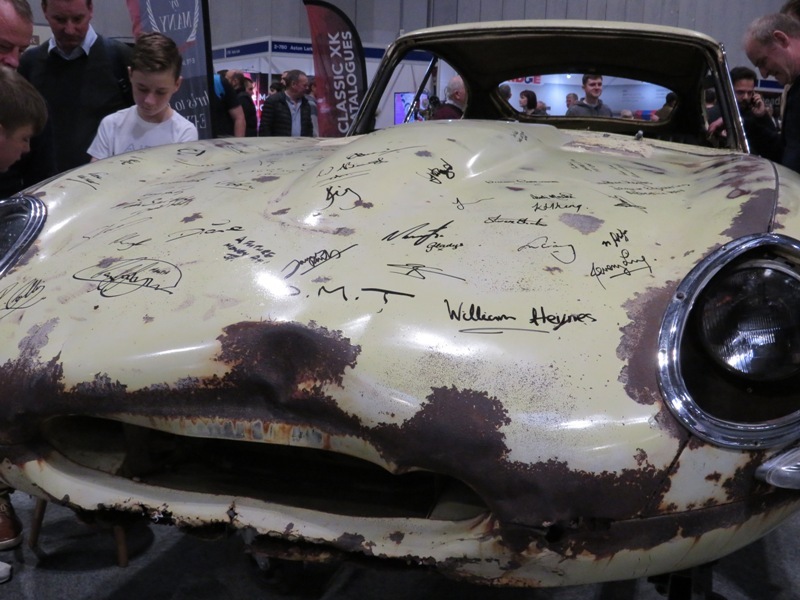 SNG Barratt were supporting Prostate Cancer by displaying an E-type which was covered in the signatures of those who had donated to the cause – some famous Jaguar names were included! 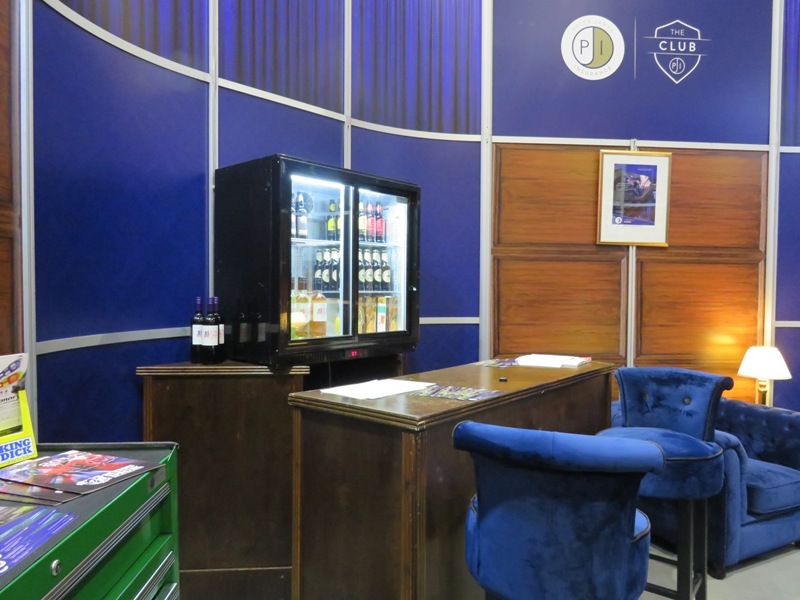 Phil Beck showed me around the Peter James Insurance stand and spoke to me about some of their current projects and the support they are providing for owners of classic cars, details of which will appear in future newsletters. 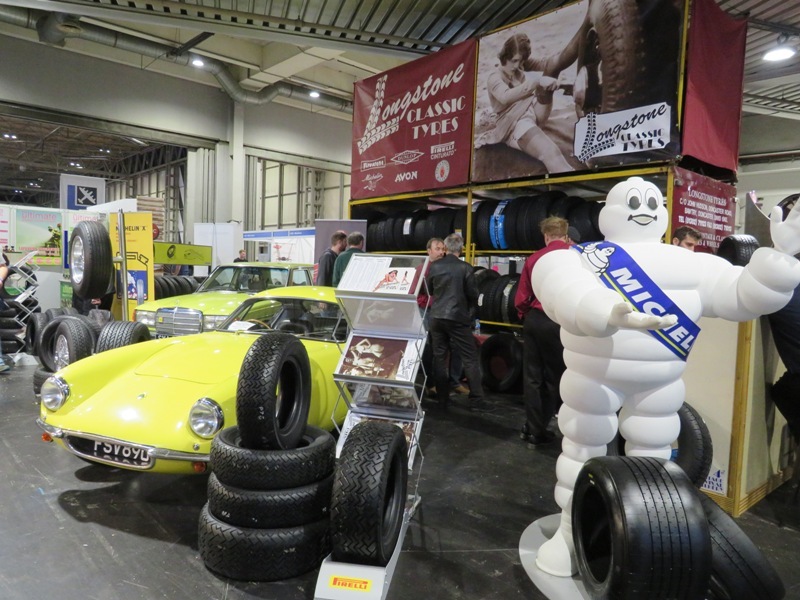 I was welcomed into the Longstone Classic Tyres stand, with its contrasting black tyres and yellow cars, by the Michelin man !! 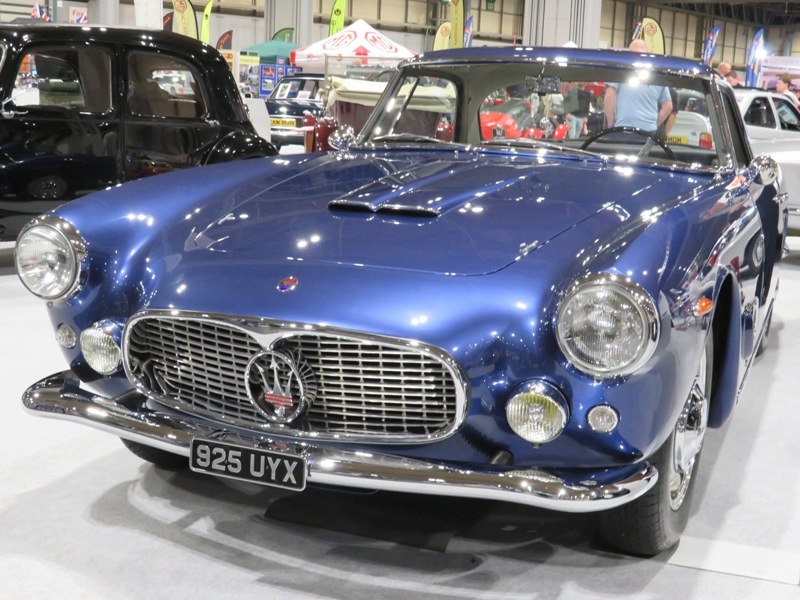 GB Classic Trim specialise in retrimming Jaguars but had been asked to retrim this stunning Maserati 3500GT which was nominated for Car of the Show! 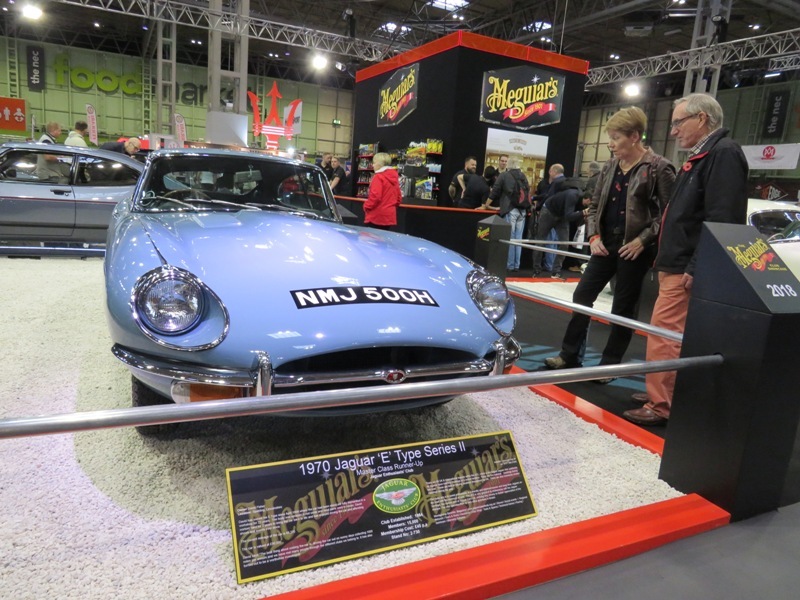 This Jaguar E-type appeared with several other superb examples of other marques on the Meguiar’s stand.